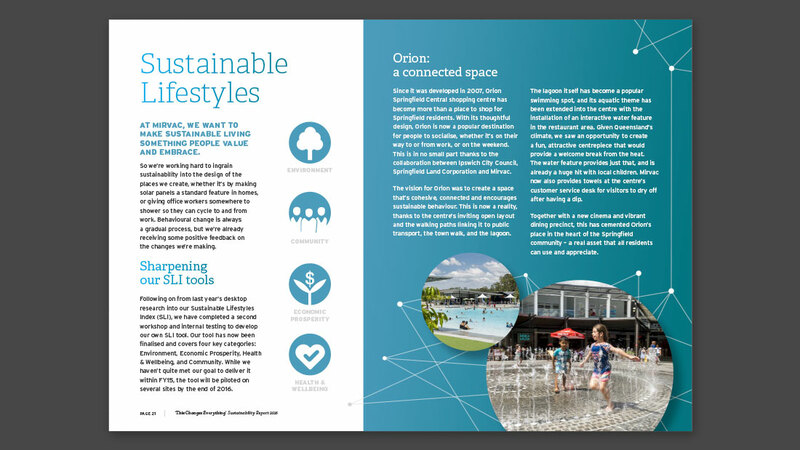 Back in 2014, property developers Mirvac launched a bold new sustainability strategy called ‘This Changes Everything’. 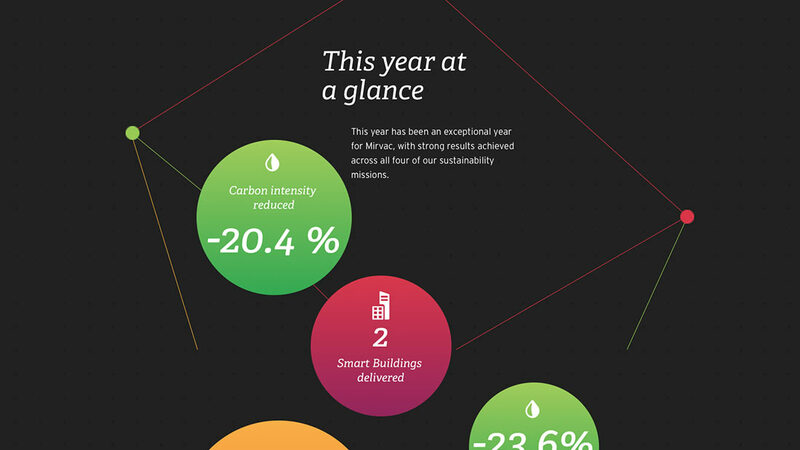 Developed together with sustainability agency Republic of Everyone, the strategy laid out Mirvac’s vision for a more sustainable future – and their road map for how to make this a reality. 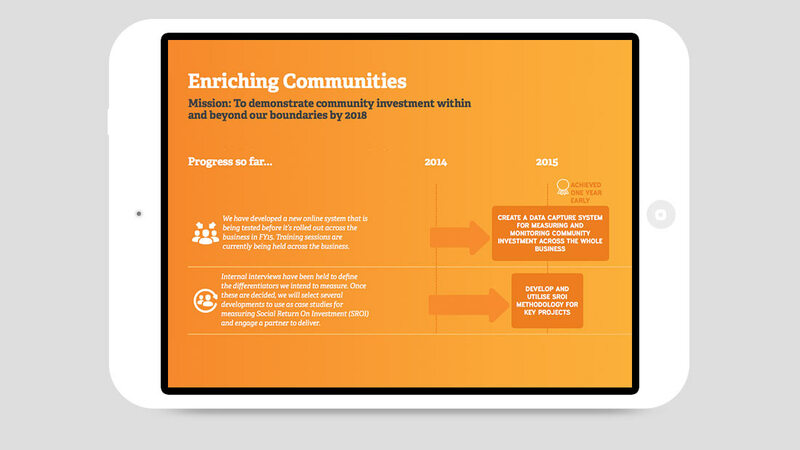 Split over four key pillars, the strategy included a set of very ambitious goals, making a clear statement about Mirvac’s expectations of themselves, and the people in their world. 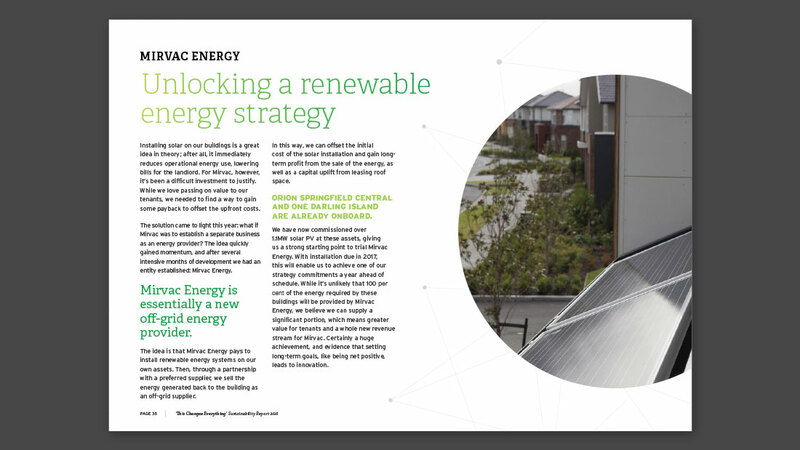 Part of Mirvac’s new commitment was to provide an official report on their progress each year – and we were invited to write a report as game-changing as the strategy itself. Reports don’t tend to inspire huge excitement. They’re usually dense, dull and just plain boring. So, together with designers at Republic of Everyone, we set out to create a reporting approach that was just the opposite. 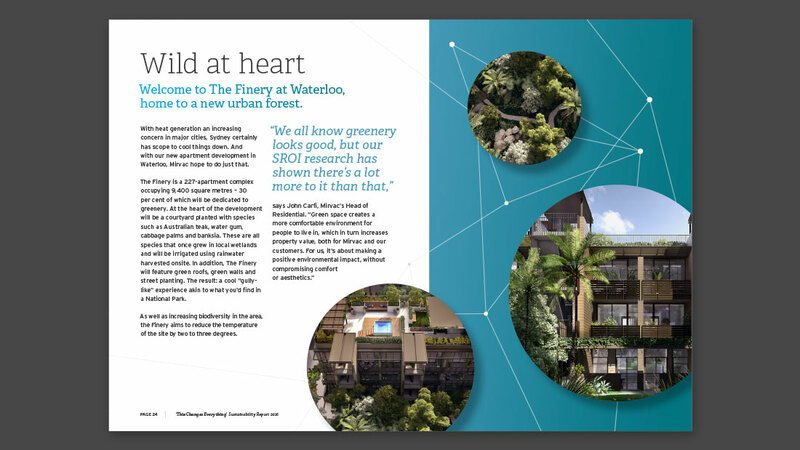 Instead of a weighty slab of paper, we focused on creating a report that was vibrant colourful, and came into its prime when read online. 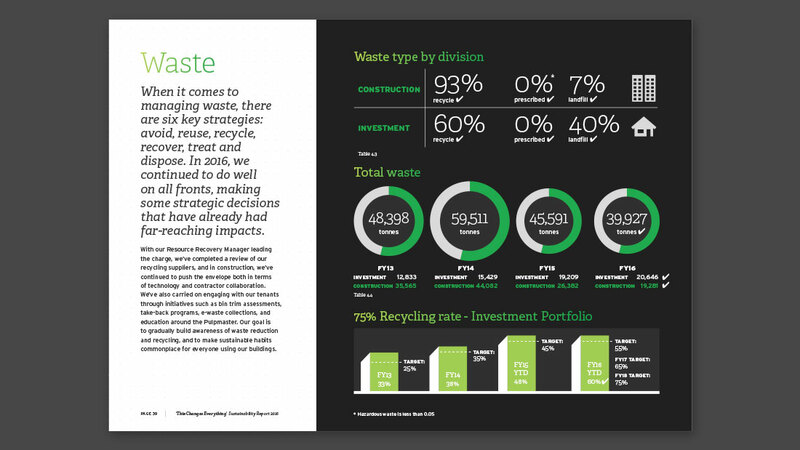 And rather than let statistics take over the stage, we kept them in a supporting role – treating the report more as a series of stories than a corporate spiel. 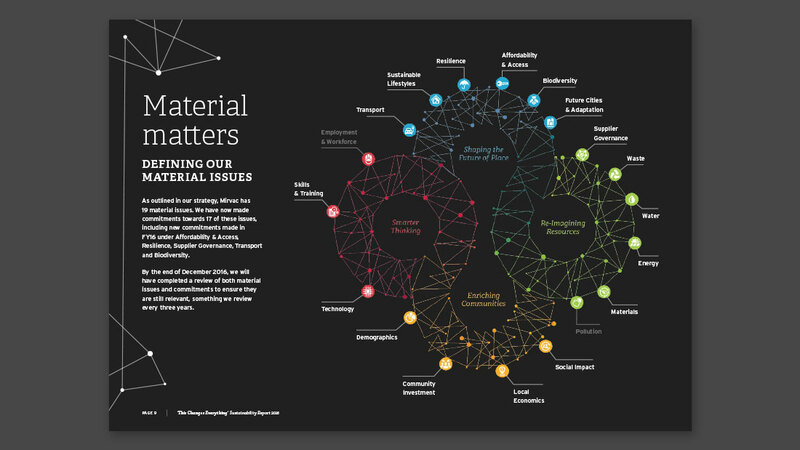 One of the big differences between this and any other report we’d written: the way in which we gathered the content. 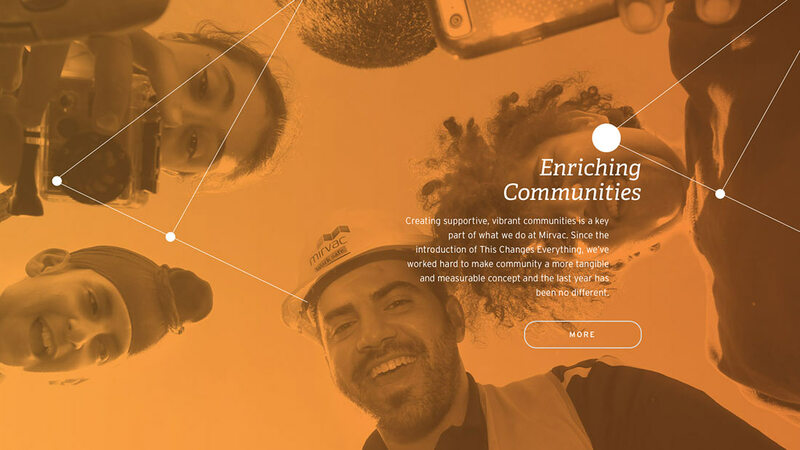 Rather than harass their people for written contributions, Mirvac set up personal interviews for us to chat to people right across their business. This meant we could pick everyone’s brains and gather what we needed, without placing huge demands on staff. The first report went down a treat (yep, people actually read it!) and since then, we have gone on to complete two more reports in 2015 and 2016. 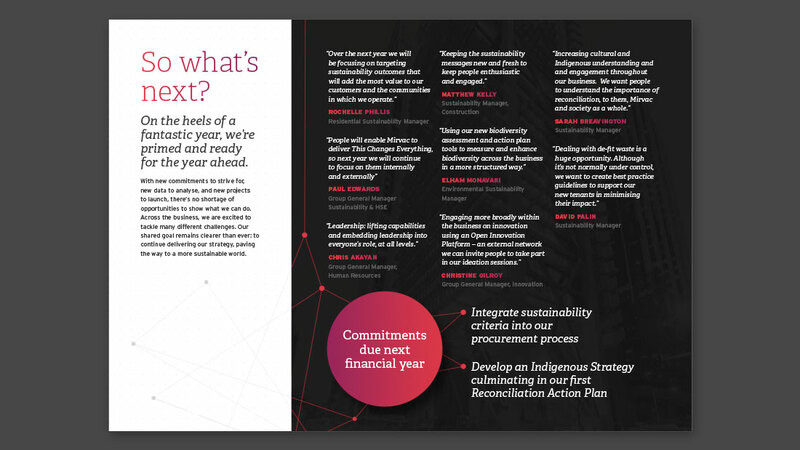 Each one has continued to develop the ‘change’ theme, and has pushed the boundaries in terms of how engaging a report can be (while still addressing all the necessary criteria). 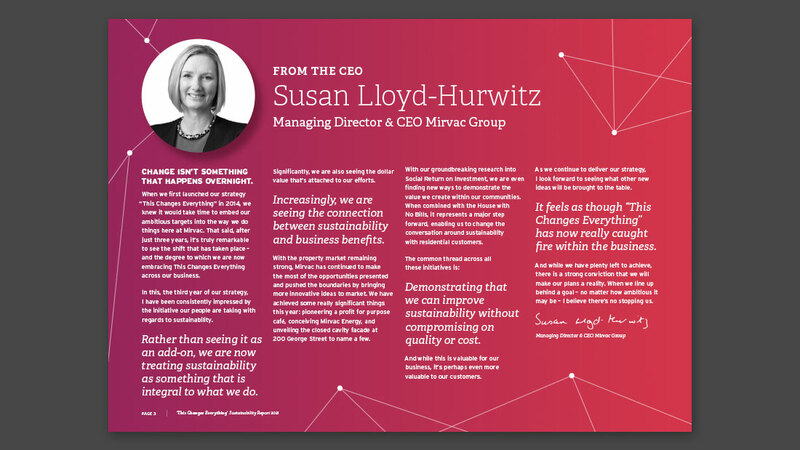 Mirvac’s fresh approach to these reports has been nothing short of inspirational. We love the fact this company isn’t afraid to take risks and embrace change (and it’s great to see a strong commitment to female leadership too). Getting to know Mirvac’s people so intimately has been a real privilege, and we look forward to seeing them continue to change the world for the better.